WHERE DID JIU JITSU COME FROM? It is often claimed that Brazilian Jiu Jitsu is a development of traditional Japanese jujutsu but this effective art all started with Mitsuyo Maeda (aka Conde Koma, or Count Coma in English), an expert Japanese judoka and member of the Kodokan. Maeda was one of five of the Kodokan’s top groundwork experts that Judo’s founder Kano Jigoro sent overseas to spread his art to the world. Maeda left Japan in 1904 and visited a number of countries giving “jiu-do” demonstrations and accepting challenges from wrestlers, boxers, savate fighters and various other martial artists before eventually arriving in Brazil on November 14, 1914. Jiu-jitsu, as with its parent art of Judo, is known as more than just a system of fighting. Since its inception, Judo was separated from older systems of Japanese jujutsu teachers, this was more than just Kano’s ambition to clearly individualize his art. To Kano, judo wasn’t solely a martial art: it was also a sport, a method for promoting physical fitness and building character in young people, and, ultimately, a way (Do) of life. It is often claimed that Brazilian Jiu Jitsu is a development of traditional Japanese jujutsu, not judo, and that Maeda was a jujutsuka. However, Maeda never trained in jujutsu. He first trained in sumo as a teenager, and after the interest generated by stories about the success of judo at contests between judo and jujutsu that were occurring at the time, he changed from sumo to judo, becoming a student of Kano’s Kodokan judo. He was promoted to 7th dan in Kodokan judo the day before he died in 1941. Many people (including Masahiko Kimura) believe that Hélio Gracie holds a judo rank of 6th dan. There is, however, no Kodokan record of Gracie’s dan grade in judo. Outside Japan, however, this distinction was noted even less. The distinction between a jutsu and a do is subtle, and is still used somewhat arbitrarily to this day. Thus, when Maeda and Satake arrived in Brazil in 1914, every newspaper announced “jiu-jitsu” despite both men being Kodokan Judoka. The Japanese government itself did not officially mandate until 1925 that the correct name for the martial art taught in the Japanese public schools should be “judo” rather than “jujutsu”. In Brazil, the art is still called “Jiu-Jitsu”. When the Gracies went to the United States to spread their art, they renamed this Japanese fighting system as “Brazilian Jiu Jitsu” and “Gracie Jiu-Jitsu.” “Jiu-jitsu” is an older romanization that was the original spelling of the art in the West, and it is still in common use, whereas the modern Hepburn romanization is “j?jutsu.” Other common spellings are jujitsu and ju-jitsu. The art is sometimes referred to as Gracie Jiu-Jitsu (GJJ), but this name is trademarked by Rorion Gracie and specifically refers to the style taught by him and his selected teachers. Other members of the Gracie family often call their style by personalized names, such as Charles Gracie Jiu-Jitsu or Renzo Gracie Jiu-Jitsu, and similarly, the Machado brothers call their style Machado Jiu-Jitsu (MJJ). While each style and its instructors have their own unique aspects, they are all basic variations of Brazilian Jiu-Jitsu. An influential businessman named Gastão Gracie helped Maeda get established. In 1916, his 14 year-old son Carlos Gracie watched a demonstration by Maeda at the Teatro da Paz (Theatre of Peace) and decided to learn the art. Maeda accepted Carlos as a student, and Carlos went on to become a great exponent of the art and ultimately, with his younger brother Hélio Gracie became the founder of Gracie Jiu-Jitsu, modern Brazilian Jiu-Jitsu. In 1921, Gastão Gracie and his family moved to Rio de Janeiro. Carlos, then 17 years old, passed Maeda’s teachings on to his brothers Osvaldo, Gastão and Jorge. Hélio was too young and sick at that time to learn the art, and due to medical imposition was prohibited to take part in the training sessions. Despite that, Hélio learned from watching his brothers. He eventually overcame his health problems and is now considered by many as the founder of Brazilian Jiu-Jitsu (though others, such as Carlson Gracie, have pointed to Carlos as the founder of the art). Hélio competed in several submission judo competitions that mostly ended in a draw. One defeat (in Brazil in 1951) was by visiting Japanese judoka Masahiko Kimura, whose surname the Gracies gave to the arm lock used to defeat Hélio. 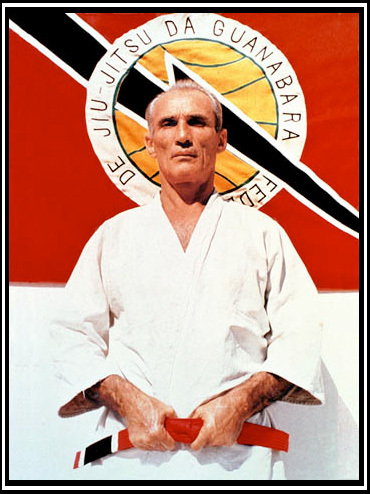 The Gracie family continued to develop the system throughout the 20th century, often fighting vale tudo matches (precursors to modern MMA), during which it increased its focus on ground fighting and refined its techniques. 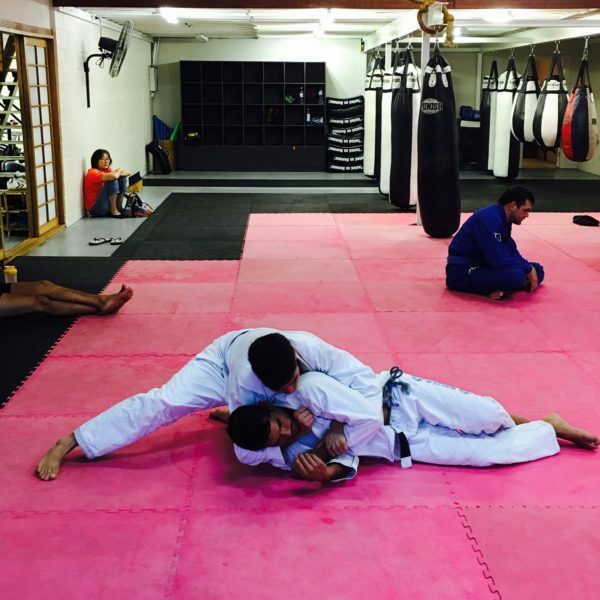 Today, the main differences between the BJJ styles are between traditional Gracie Jiu-Jitsu’s emphasis on self-defense, and Sport Brazilian Jiu-Jitsu’s orientation towards point competition. There is a large commonality of techniques between the two. Also, there are a wide variety of ideals in training in different schools in terms of the utilization of technique versus how much to attempt to overpower an opponent. In the 1990s Brazilian Jiu Jitsu came to international prominence in the martial arts community, when Brazilian Jiu Jitsu expert Royce Gracie won the first, second and fourth Ultimate Fighting Championships, which at the time were single elimination martial arts tournaments. Royce fought against often much-larger opponents who were practicing other styles, including boxing, shoot-fighting, karate, judo and tae kwon do. It has since become a staple art for many MMA fighters and is largely credited for bringing widespread attention to the importance of ground fighting. Sport BJJ tournaments continue to grow in popularity worldwide and have given rise to no-gi submission grappling tournaments, such as the ADCC Submission Wrestling World Championship. The valid moves are those which seek to neutralize, immobilize, strangle and apply any kind of pressure on the twisting joints, as well as knocking down one’s opponent by take-down. But there are non-valid moves which are considered illegal: biting, hair pulling, sticking fingers in the eyes or nose of one’s opponent, striking the opponents genitalia, finger twisting, and any other move that gains unfair advantage with use of one’s fists, feet, elbows or head. Moreover, competitions are the lifeline of the sport; it is the most important aspect for all those directly or indirectly involved. However, victory will not be granted at any cost; fair-play must be the main guideline). Ethical behavior is what gives the sport credibility and security, which are indispensable factors to our sport. Only through this we have developed the sport in brazil turning it into a spectacular sport. Therefore, because we hope to be part of the greatest show on earth, the Olympics, we must stay focused on jiu-jitsu as a viable modern sport. These regulations are the sports charter. They contain the for those involved: athletes, coaches, teachers, directors, and even the assisting public. Because of this, we have the responsibility to fulfil and achieve the following regulations, and only by doing so we will be able to reach our goal of making Jiu-jitsu an Olympic sport. 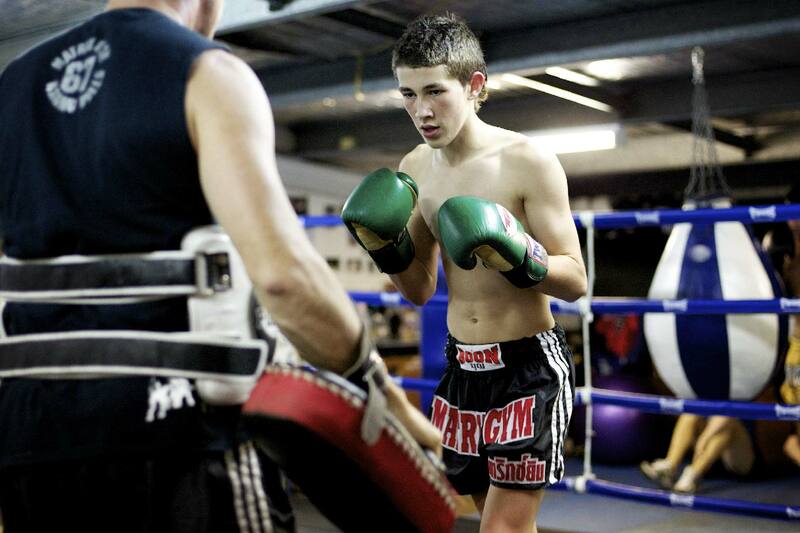 Matrix Gym is one of the Gold Coast's premier championship brand for martial arts. Situated at the northern end of the coast, it has authentic Muay Thai, Brazilian Jiu Jitsu (Bjj), Mixed Martial Arts (MMA) and No-Gi Grappling. Matrix aims to deliver the best martial arts instruction available on the Gold Coast.